Do you wish to get away from the hustle and bustle of life? 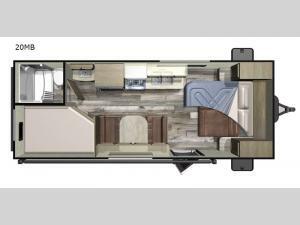 Well then check out this Starcraft Autumn Ridge Outfitter 20MB travel trailer! Your kiddos are sure to enjoy their own set of rear bunk beds which are conveniently located next to the rear corner bath. Another convenient feature is the bath vanity sink being located right outside the bath so that one member can wash up in the shower while another member fixes their make up at the mirror to cut down waiting time. 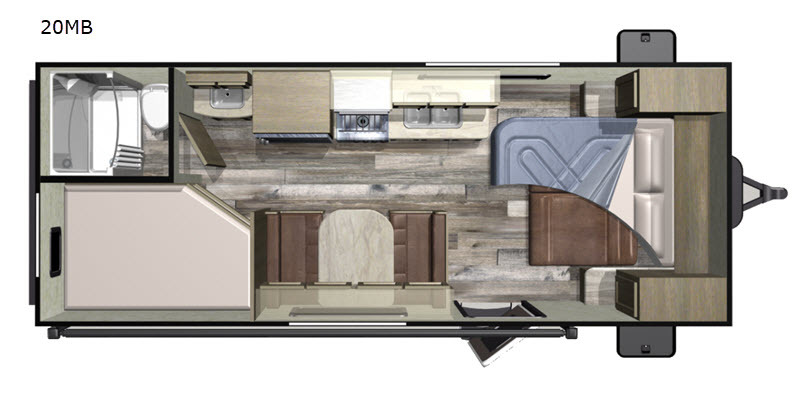 You will also enjoy the added space and convenience of the Murphy bed. After you have easily whipped up your best meal in the complete kitchen, you can comfortably enjoy it at the booth dinette and you can even transform it into an extra sleeping space for an unexpected guest!